Rivers and Roads: ETSY SWAP 2014 LINK UP. Happy link-up day, friends! Amy and I have had a blast with this swap, and we are so thankful for all of you who signed up and participated! I hope you had fun shopping, found some new favorite Etsy shops, and made new friends in this community. There are some real gems out there! Now on to the fun part! I finally get to show you everything I gave and received! Snail mail is one of my love languages, so getting to send thoughtful gifts and receive thoughtful gifts in the mail kind of makes my day...or my week. 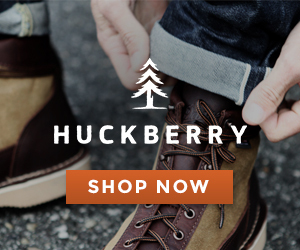 I was assigned Laura of According to Laura Jean, and I had so much fun shopping for her! Fun fact: earlier this year, we found out that Laura knows my little sister Mer who is getting married in a few short months! The world is seriously small. Anyway, Laura loves a mix of nature, feminine style, and outdoorsy things, so I put together an eclectic box for her that hopefully she enjoys! My Etsy goodies came from Jenna of Dearest Love. Fun fact: I actually know Jenna in real life! We got to go to the Maiedae Mixer together as well as the Renew Retreat. I love becoming real life friends with my blogger friends! If you don't know Jenna, you should take care of that ASAP. She is one of the sweetest people I have ever met. She is so kind and thoughtful and an incredible baker. She made the most scrumptious nutella bread while I was staying at her house for the Mixer. Yum. I still dream about that goodness. This swap was so fun, and I hope you enjoyed it as much as I did! 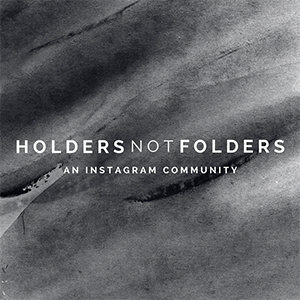 If you weren't able to participate this time around, don't fret! 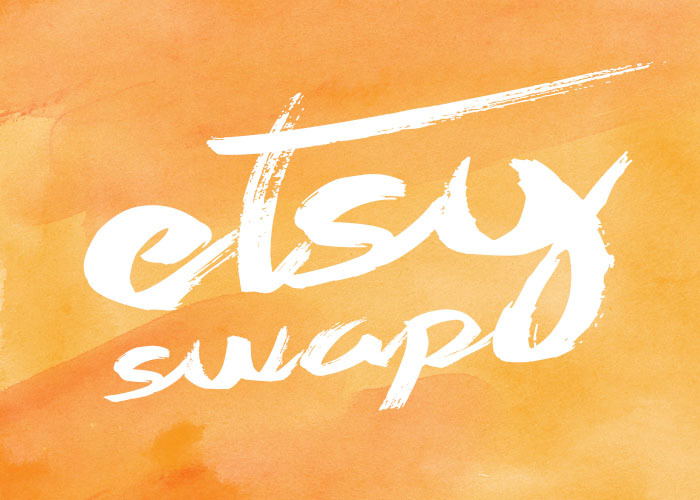 Etsy Swap will be back in the spring, so please join us then! For now, check out everyone's Etsy posts to see what they got! XOXO. Loving that Jane Austen post card! I think I'm seeing an Austen theme going around with the Etsy Swap gifts! Meg, you pulled such sweet and thoughtful things for Laura, and Jenna did such a great job shopping for you! And that tinsel twine is going to be so fun to play with - do you know what you're going to do with it? Everything you got Laura was so especially wonderful, did you paint the Mother Teresa quote? It is so beautifully done! She is sure to love everything you got her. I love love love 1Canoe2 art, and I especially loved the John Muir card, what thoughtful gifts Jenna got you!Thanks for hosting such a fun swap! The Mother Teresa quote is from an Etsy shop, but I cannot remember which one, and I forgot to check before I mailed it off! HAHA. Fail. It is super cute though! You are welcome!! So glad you got to participate. Love these swaps so much! Ahhh I know! It's so great! I heart Jane Austen. Thank you! That tinsel twine is super fun, but I don't know what to do with it yet!! i really do love what you sent and received. the moose tea towel and the CARDS THAT YOU GOT! 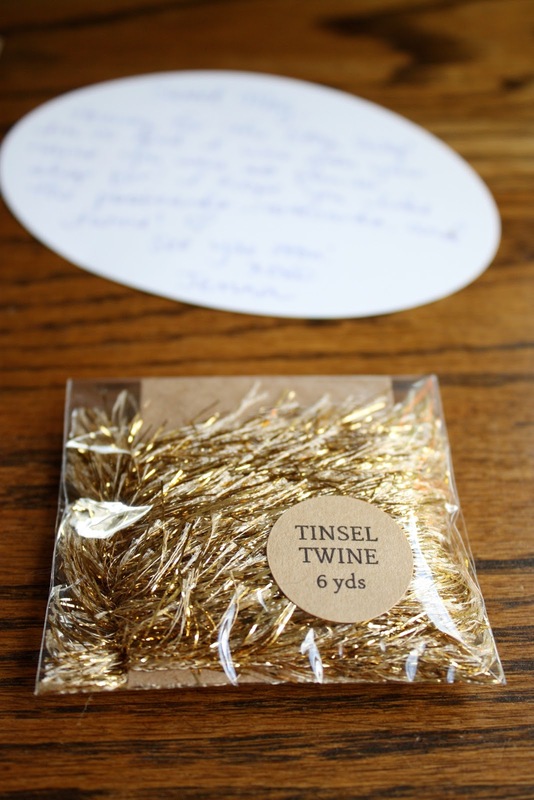 gahhh so adventurous and the tinsel twine, i want that twine! Those post cards from Jenna = awesome! 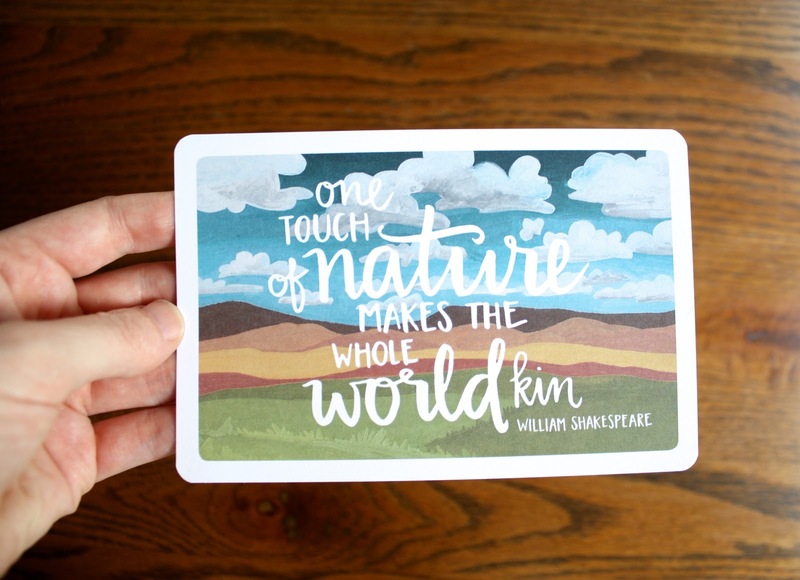 And that Van Gogh quote print. Love it. You got some great things! I just love the cards! I can't wait to participate next time! I was clearly a slacker and missed out on the first round :) I have so loved getting to see everyone's fun stuff! Such a great idea, friend! Oh my word! Everything is so wonderful! That moose tea towel is my jam! HEART. EYES. To all of this! 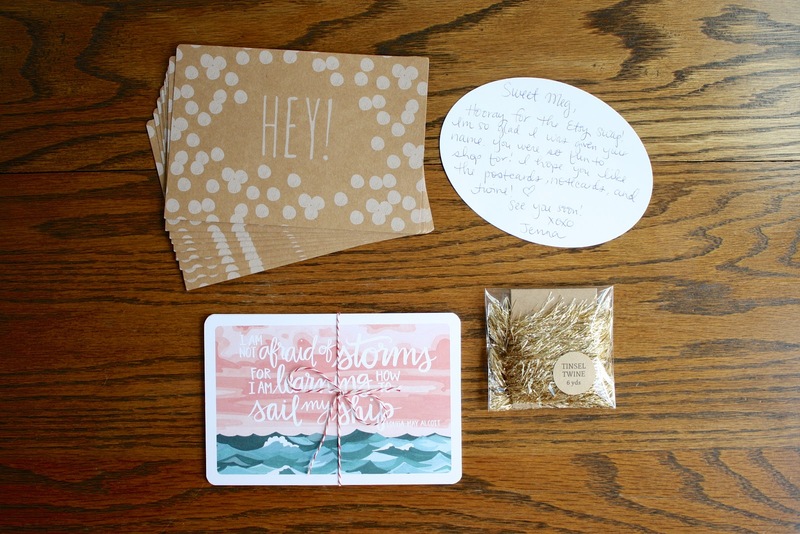 That twine has me mesmerized and I'm oogling over those "Hey" notecards. Thank you so much for hosting the Etsy Swap! I've enjoyed the heck out of it. Thanks for hosting this swap. I had a lot of fun. I love that tea towel you gifted! Ahhhhhhhhhhh! <--- that's me super excited! You got such lovely things! Love it! 1Canoe2! YES! I love love love everything you got me Meg! Ah they were the happiest presents ever and it came in perfect timing. Thank you much! You know me too well. That package that you sent to Laura is great!!! 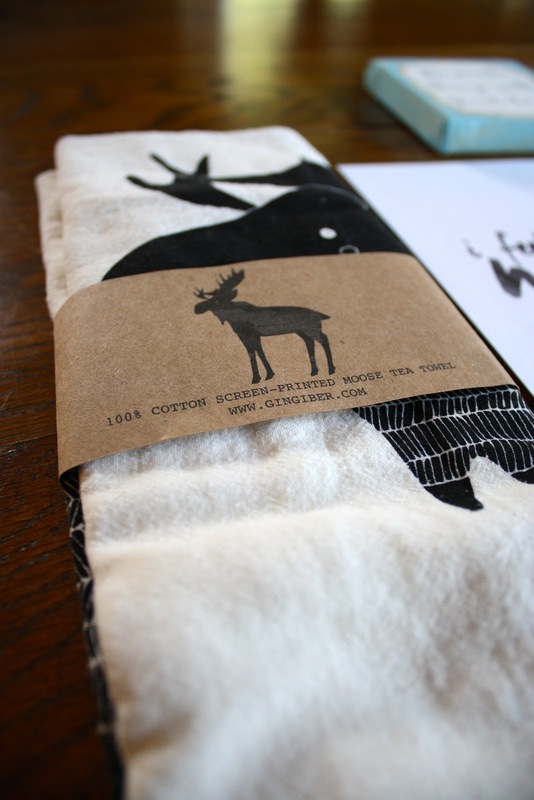 I think the moose tea towel might be my favorite...It's so cute! I now know of another thing that I need to look for at Target! :) And I love those 1Canoe2 postcards and the gold tinsel. I'm pretty sure I'd have to frame them! This is the coolest idea!! I found your blog from reading everyones renew retreat recaps, and all the ladies who went just seem amazing! I cant wait to participate in this swap next spring! :) So glad I found your blog! I have those "hey" postcards!! :) i love both the packages you put together for her and received! Eeeeeeeps. I love it all! Oh man, thanks Madison! We have so much fun hosting it! Ahhh I know! I just stare at the postcards all the time. Haha. Bah! I know...I'm all emoticon with heart eyes about it. I am so glad!!! Yay. Hope you join us again in the spring! Thanks so much, Susannah!! We are so glad you participated! Bah! I am so glad! Seriously, hope we get to meet in real life sometime, Laura! Yes, please join us in the spring! 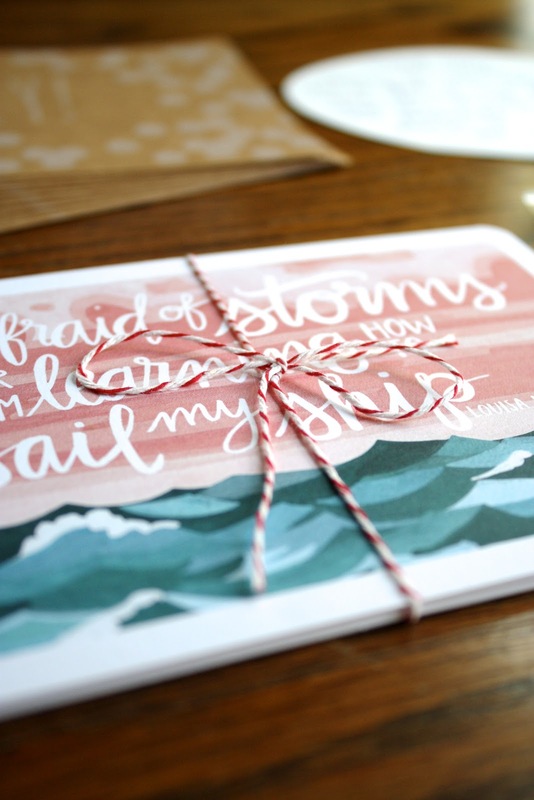 I love that you got your partner something from Pemberly Pond (one of my favorite Etsy shops!) and you got cards from 1Canoe2 (one of my other favorite shops!). I'm definitely going to have to join in this when Spring comes around--such great little gifts!